He’s been the toast of London society long enough to have become a legend. He’s dined with Princess Diana, entertained Stephen Hawkins and had marriage advice from Maggie Thatcher. 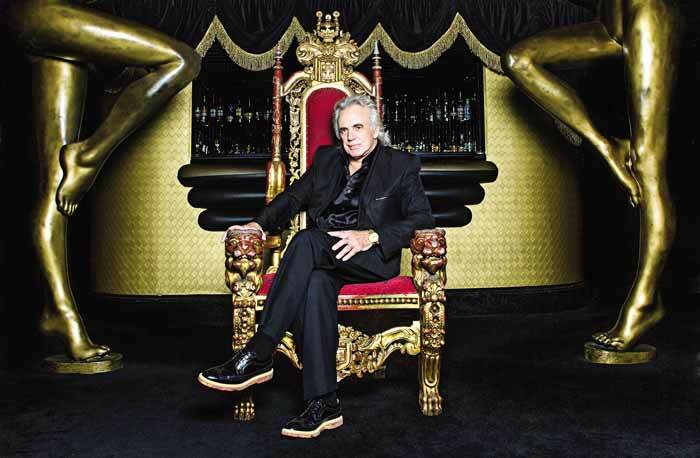 But beneath the glamour and glitter around Peter Stringfellow and his world famous nightclubs he’s a Sheffield lad at heart with some typical Northern views on life. Before we begin, Peter orders a coffee, and complains about the extortionate price of coffee in London. Definitely a Yorkshireman! If all this makes Peter sound like a name-dropper, he isn’t. These people are all part of the way of life he has carved out for himself, a gritty Yorkshireman in the sophisticated metropolis. 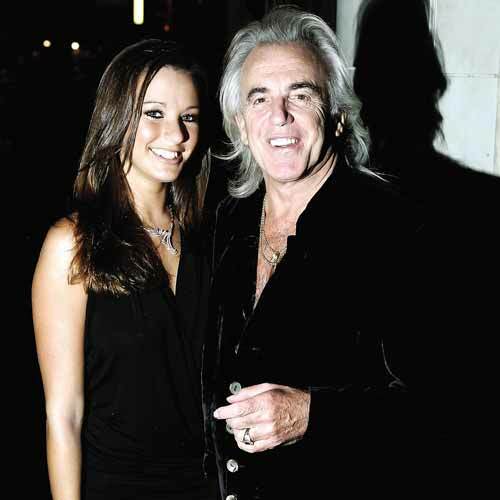 Sheffield born and bred, ‘our Peter’ left his home city and made his fortune in London with his world famous nightclub Stringfellows, a club renowned for its celebrity clientele and array of beautiful women. And he’s right. Peter has, in a way, created a fantasy, a fantasy life. While most men in their mid-seventies are mowing lawns, re-organising their shed or clipping their toenails, Peter has a stunning 31-year-old wife, a beautiful baby and a successful business empire. He’s disarmingly honest and incredibly charming. There are no airs or graces with Peter and he can talk the hind legs off a donkey. I may have met my match! “All my family were workers. After leaving school my dad went into Jessops Steel Works making shovels, followed by seven years in the army during the Second World War. He ended up in Italy and on his return home, he went straight back to Jessops. My mother Elsie worked at the cinema for years. It’s evident that work is important to Peter, although nowadays you won’t see him waiting at the bottom of steep hills any more. There’s no need, as he’s now the king of the mountain and has no intention of coming down. “My grandma Stringfellow cleaned a couple of houses in Totley. She never complained, it was her influence that helps me fuel my energy and ambition. And, in 1992, that’s exactly what Peter did; after declaring bankruptcy. “We’ve all got a story, everyone has a story. I get people telling me they came to my first club, Stringfellows, but that wasn’t my first club. After the Black Cat, there was Blue Moon followed by The King Mojo Club. When I opened Stringfellows in London in 1980, it was just a regular disco with a restaurant and cocktail bar, and it stayed that way until 1996. During this period, I also opened clubs in New York, Miami, and Beverly Hills. The day I opened the club in Beverley Hills led me to a £5 million disaster, as it was at the start of the recession. “It’s now that I realise that as the working class in Sheffield, my family were really at the bottom end of the line. We lived in a one-up, one-down house and I used to think my mum was a rotten cook but now looking back, she only had one gas ring to cook on. She would cook for us all including my three brothers. When people ask me what it’s like being in recession now, nothing comes near to what it was like throughout the 40’s and 50’s in Sheffield. “I am not saying we should go back to that era but certain things have been lost. If you didn’t earn any money you didn’t get any money. I’d look for empty beer bottles and take them back to the corner shop and get pennies for the bottles. I’m not embarrassed because it’s what everybody did. There would be no broken glass around because you’d be taking the bottles back to the shop! It was in Sheffield in 1962 when Peter launched his first dance night in a church hall naming it the Black Cat Club. His club attracted the likes of The Beatles, The Rolling Stones, Jimi Hendrix, Rod Stewart and Elton John. “Liverpool was going music mad and a lot were coming to Sheffield. I created a band called The Skeletons and the lead singer was Count Basie the Third. I took them to the Cavern Club in Liverpool in exchange for a bunch of Liverpool bands that came to play at the ‘Black Cat’. “I wasn’t fazed when I first met the Beatles; they were the same as me, on their way up. I remember how excited they were, them sitting in my little hire car screaming ‘Oh my god, we might become number one next week!’ They were laughing and so was I, because I was making a fortune putting them on that night. They changed my life. The first time that I really was in awe was when I booked Gene Vincent. I paid him £100, £15 more than the Beatles and hardly anybody turned up to see him because he was out of era. Peter has spent most of his life rubbing shoulders with the very rich and the very famous and after meeting the Iron Lady on a few occasions describes her as ‘someone special.’ Not many folk would consider Margaret Thatcher ‘somebody special’, but then Peter’s not just anyone. Talking of science, he holds scientist Steven Hawkins in high esteem. “He’s the man that I admire more than other man I’ve ever met. His courage is beyond my understanding and his intellect is something that I am entirely in awe of. And on royalty… “I’ve dined with Princess Diana and partied with Prince Harry; in fact Harry took quite a shine to my wife and asked if he could have a dance with her. His then girlfriend Chelsea wasn’t impressed. Maybe his daughter marrying Prince George one day wouldn’t be such a bad idea! Stringfellow is now a name synonymous with success, but for Peter growing up, he thought his surname to be more of a curse. “Being called ‘Stringfellow’ was not a good thing. After failing my 11-plus I went to the central technical school. It was when I was there I was called everything you could imagine except Stringfellow. I was called ‘string vest’, ‘cotton kid’ and all the things that make me laugh now but at that age it was very distressing. I used to be called ‘stringy’. I hated it as a kid because it meant I was thin and skeletal- like; as I was. Now I’m known as ‘Stringy’ in the newspapers, and that suits me fine, I’m very happy with that! “My wife keeps taking the mick out of me because I keep dropping in the odd Yorkshire word. I don’t say ‘Yellow’, I always come out with ‘yellah’” unfortunate when you consider his daughter’s name is Isabella Maria Stringfellow! I’m 44, a mum of three and tired, so with 30 years on me, how does Peter do it? Isn’t he exhausted?